I'm thrilled to have Beth, from Chinoiserie Chic, here today. 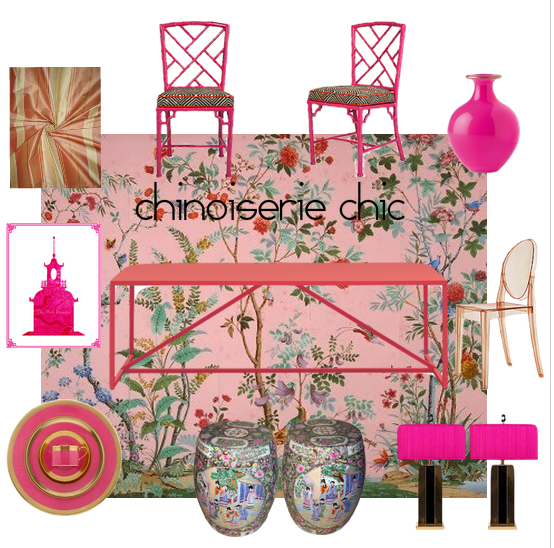 She's put together an absolutely beautiful pink dining room inspiration board. I'm so excited that she included one of my prints! OK, so I doubt anybody would create an entirely pink dining room, but it would be fun! Thank you so much, Beth, for being my guest today! I want this dining room. What fun it would be to entertain and dine amongst all this gorgeous pink. To see days 1-9 of 31 Days of Pink, go here.